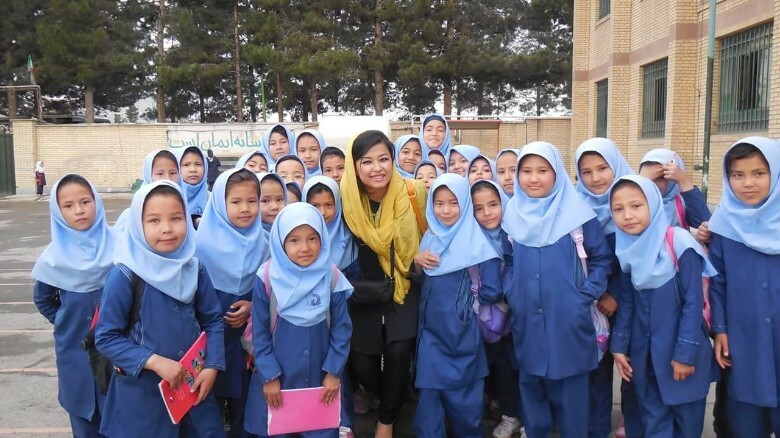 Najeeba Wazefadost with Afghan refugee students in Iran, where she helps with education expenses. As world leaders gather in New York to discuss refugees and migration, I want to use my voice to share my story. I speak for those that are under discussion but are not able to contribute; I speak for those that are not able to talk about the situations they are fleeing from. Leaving your country for good is one of the hardest decisions a person can be forced to make. It means a break with all that you know; your family, your livelihood, your friends, how to fit in, how to be part of a society. But I was born in a country that’s shattered after decades of war. My childhood was stolen; I don’t have good memories with other children, instead I remember persecution, death and being afraid. Afghanistan has few signs of justice, humanity and freedom left. People like me who were born into the minority ethnic group, the Hazara, are subjected to discrimination and slavery at the hands of the majority ethnic groups. We got on a boat, on a piece of wood, not knowing where it was taking us; our safety and security limited to that piece of wood, risking starving or drowning at sea. We were coming from a war-torn country and were traumatized. When we arrived we found ourselves in the middle of desert at Curtin Immigration Center in Western Australia. It felt like prison with no access to the outside world. There was no privacy, with 24-hour video surveillance. I was 12 — a child — and being locked up inside an overcrowded detention center created the sense of being treated like an object. I remember being known by a number, rather than my name. I didn’t feel human. 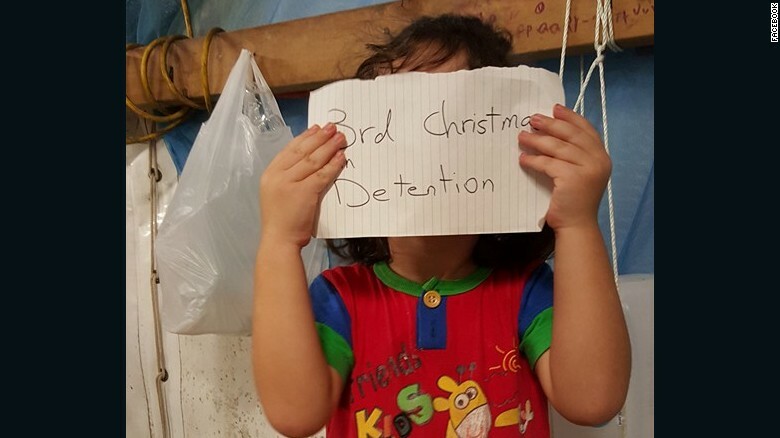 An image on the Facebook site “Free the Children NAURU,” uploaded in November, 2015, shows a small child with a tally of how long they have been on the island. 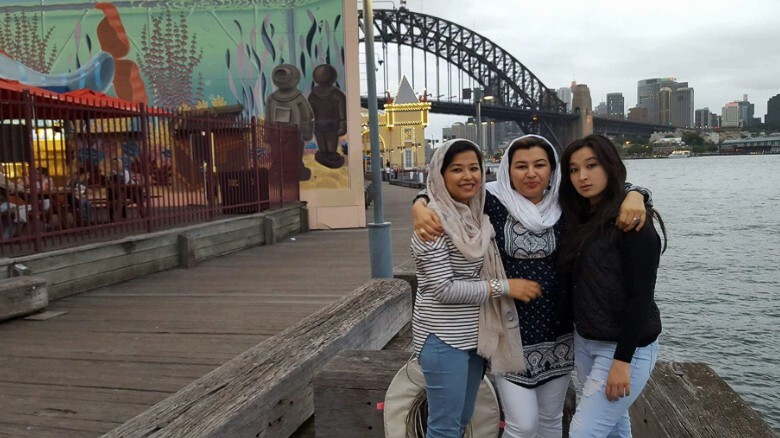 Now, refugees don’t even make it to Australia soil. Thousands are dumped out of sight in Nauruor Papua New Guinea. Unfortunately, most international leaders seem to look at these people from a position of power rather than from a position of mercy. I’ll never forget the first time I was smiled at by an Australian woman. She taught me to start trusting other Australians, and that they weren’t all the same as the security guards in detention. I remember being so frightened sitting in a mixed classroom for the first time. And the first time we went shopping we filled up a trolley of food without knowing we had to pay! Most people were welcoming, but at the same time many called us “queue jumper.” But no queue exists — coming by boat was our only choice. I always say to people, imagine a room with one window and a door to exit. If the room catches fire, even if exit is only through the window, you’ll jump out of it rather than go through the door. 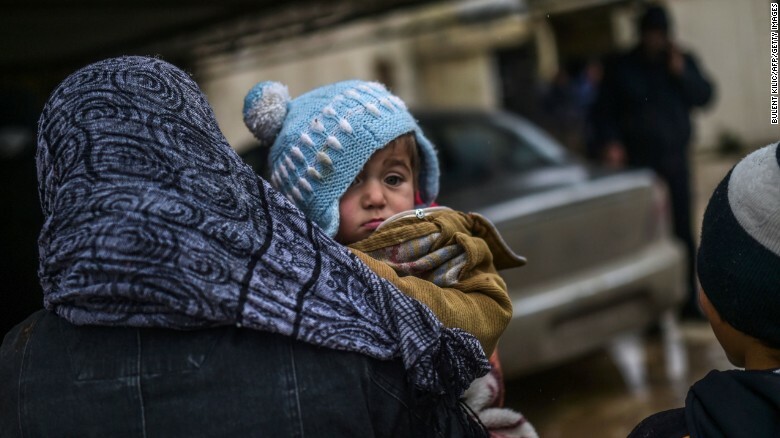 The U.N.’s refugee agency reports that the number of displaced people is at its highest ever, with the total at the end of 2015 reaching 65.3 million. The refugee problem from Syria is immense.Nearly five million refugees are now in the countries bordering Syria — Turkey, Lebanon, and Jordan. Unfortunately, these huge numbers are hard to grasp, and people end up being consigned to the status of simple statistics. It becomes easy to forget that people, whether they are asylum seekers or not, are mothers, fathers, wives, husbands, grandparents, daughters and sons. Today, I am no longer defined by my past and I have been able to achieve dreams that I never thought possible. I have graduated with a degree in medical science and work as a case manager in Settlement Services International. I have my own house and have established my own childcare business. I have been given many awards for my community work. I have built a new life and I have contributed to my new home’s society. I am an individual: I have hopes, dreams, fears and feelings. I hope the world leaders in New York remember the 65 million refugees out there might be 65 million other people like me. In my opinion, the Australian response to the refugee crisis is inadequate. Even the UN’s Ban Ki-moon has urged Australia to rethink its refugee policy. In my view, Australian politicians have indoctrinated people’s minds to believe refugee issues are all about protecting the borders, as if all refugees are some kind of terrorist. While individual countries accepting more resettled refugees is a welcome change, Australia, in my view, has accepted too few. I hope that during this summit Obama and the other world leaders use the language of humanity, because humanity is a language of shared responsibility.